So much well deserved love for the Fellow Flowers giveaway!! 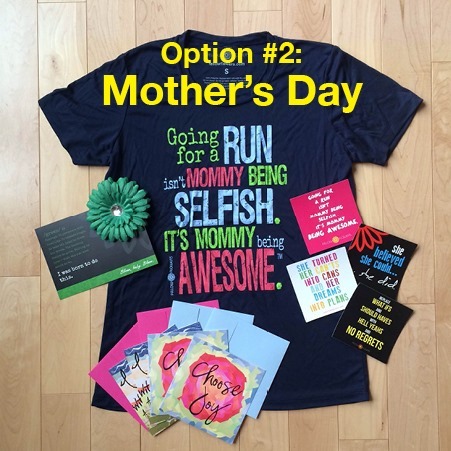 We have one Mother’s Day package up for grabs. #10 is Maggie Wolff – Congrats, Maggie!! Please email me when you have a chance so we can hook you up with your prize!! As for the rest of us, we can go shopping HERE and maybe pick up a belated Mother’s Day gift for ourselves! And remember, we love all the Moms …. StepMoms, FurMoms, Foster Moms, GrandMoms and those who are longing to be a Mom. You are all worthy of the title regardless of your current status. Love you all! This entry was posted in "Run"Way Fashion, Cross Training, Giveaways, Running and tagged cool stuff, Fellow Flowers, Fellow Flowes Giveaway, insipriational running gear, Winner of the Fellow Flowers Giveaway by tootallfritz. Bookmark the permalink. Yay Maggie!! Ok now I need to just buy one! !